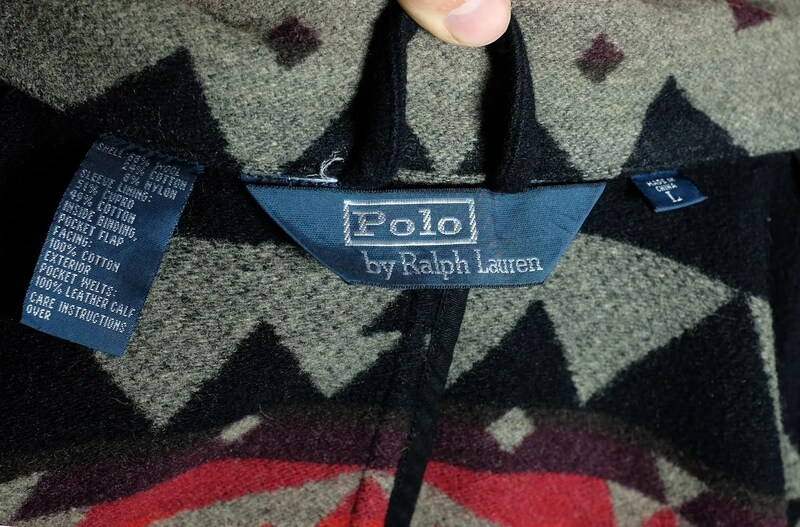 This coat was made for Ralph Lauren and was sold under the Polo label. 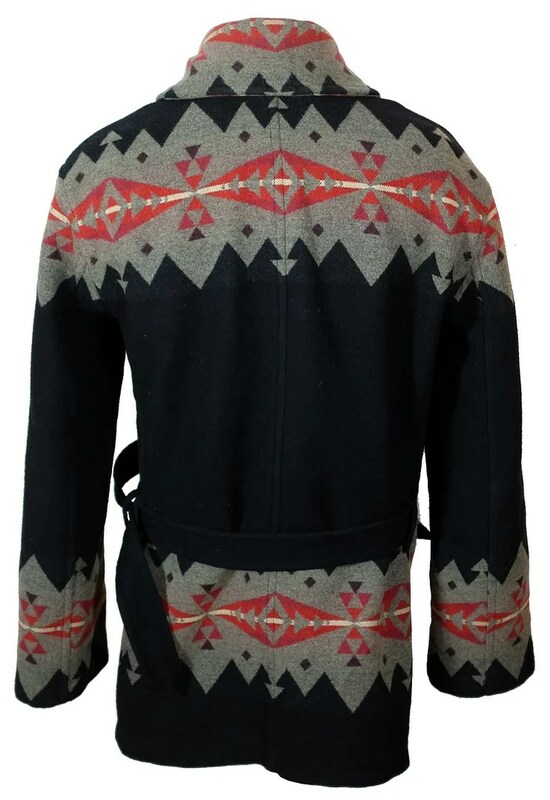 It is based upon a c. 1915 shawl collar blanket mackinaw made by Guiterman Bros. 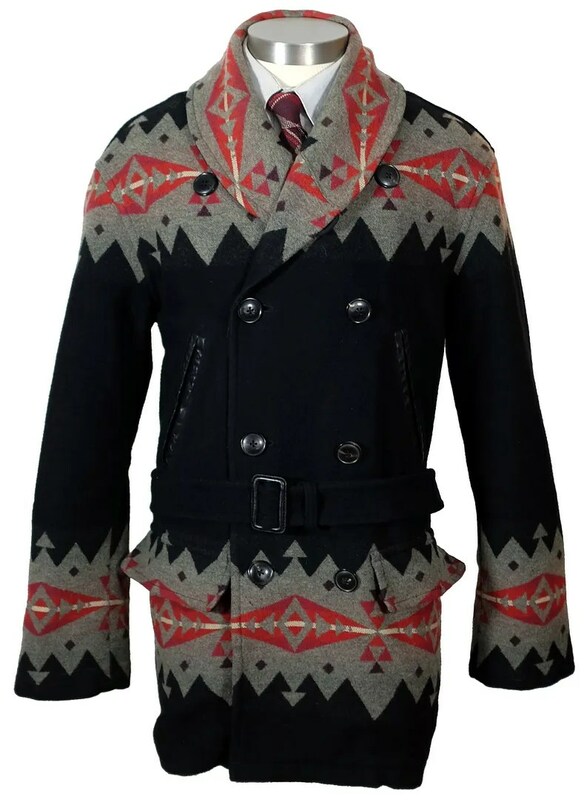 The coat is double breasted, with a shawl collar, leather trimmed handwarmer pockets, flapped cargo pockets and a belted waist. 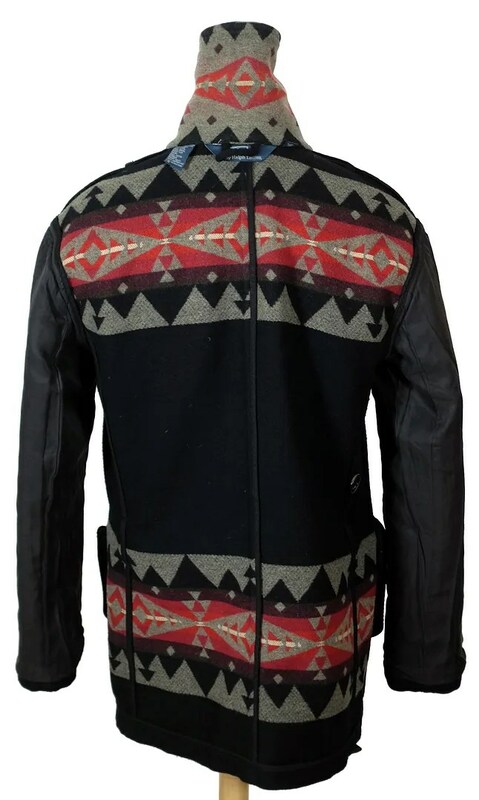 In keeping with the original upon which this style was based, it is unlined. 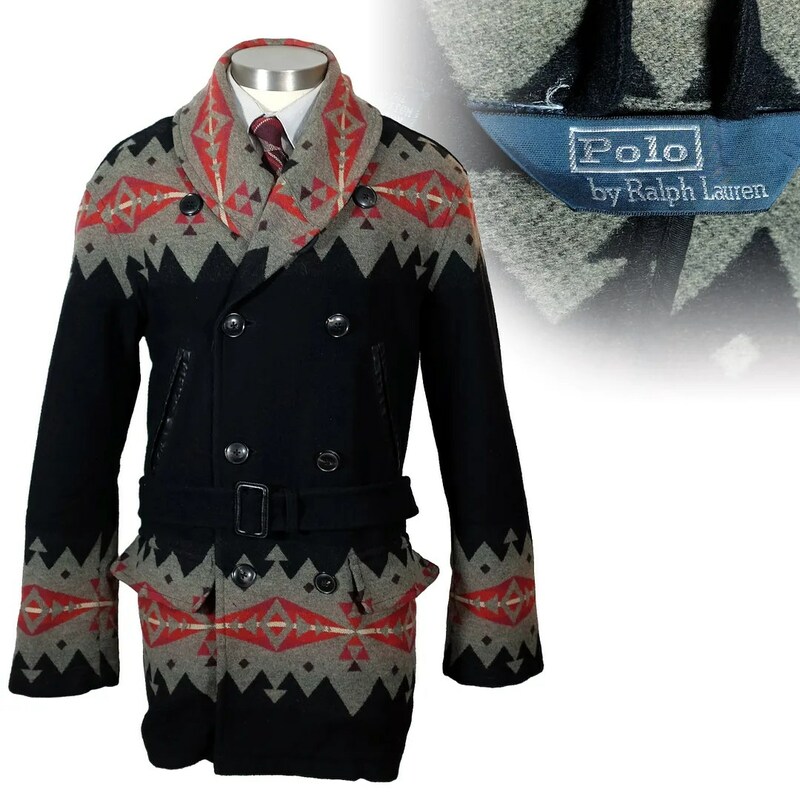 The original retail of this coat was $1195. 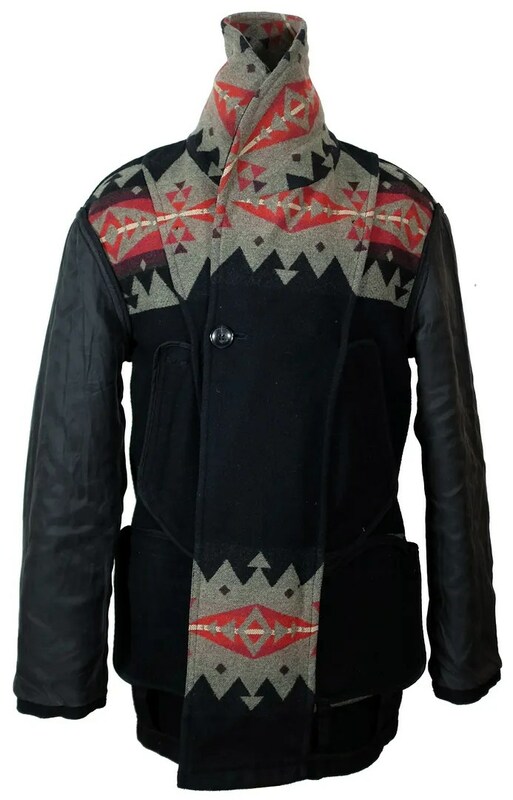 This entry was posted in Coats, Uncategorized and tagged 1910s, belted, blanket coat, double breasted, Indian blanket, Polo, Ralph Lauren, shawl collar, vintage by Spencer Stewart. Bookmark the permalink.